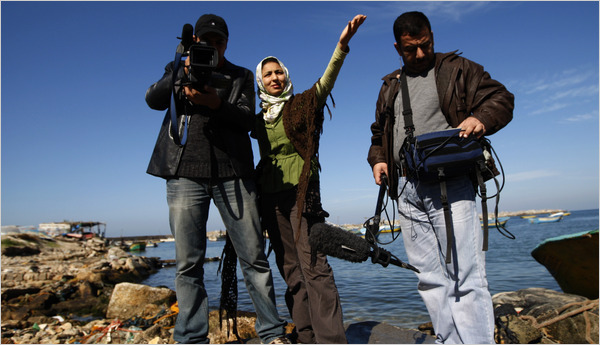 B’Tselem has been very successful with our camera distribution project in the West Bank. We’ve now expanded our work in Gaza, and this time, people are noticing. In the New York Times today their “Gaza Journal” focuses on the set of videos we released last week in Israel. What kind of message is coming out in those videos? People see Palestinian hip-hop artists protesting Israel’s treatment of Gaza. They see inside the smuggling tunnels, demonstrating that many (indeed, most) of them are used for the consumer goods that Israel won’t allow in. This comes on the heels of YNet hosting these videos very prominently on their homepage. YNet is the web site of Yediot Akhronot, by far the most widely read newspaper in Israel. These videos show the human faces of those besieged in Gaza. People will see them, and one hopes they will understand why the siege is immoral and unjust (not to mention counterproductive for Israel) and why it must end.